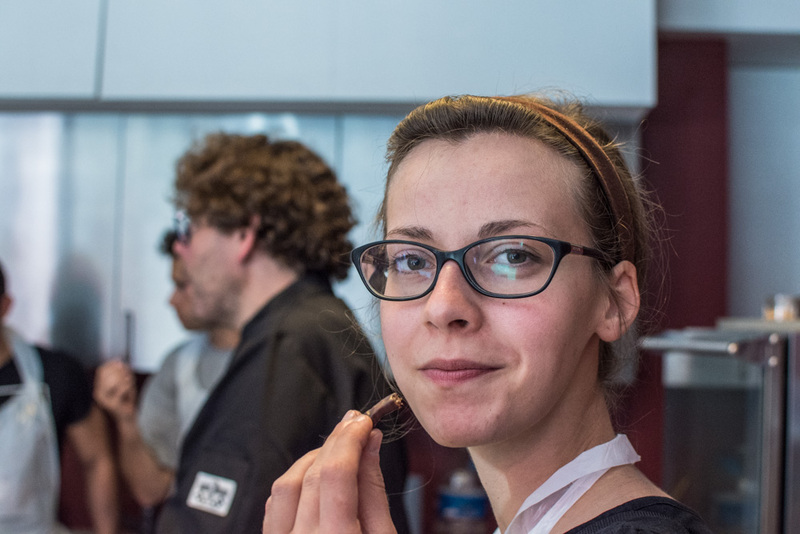 My sister visited me last week in Brussels and wanted to learn more about chocolate. 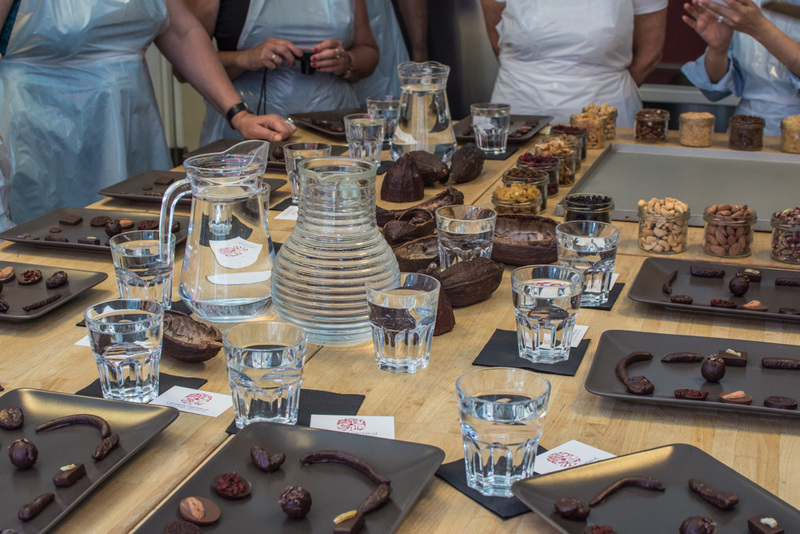 Because, honestly, where else you can learn more about chocolate, then in the chocolate capital of the world, right? 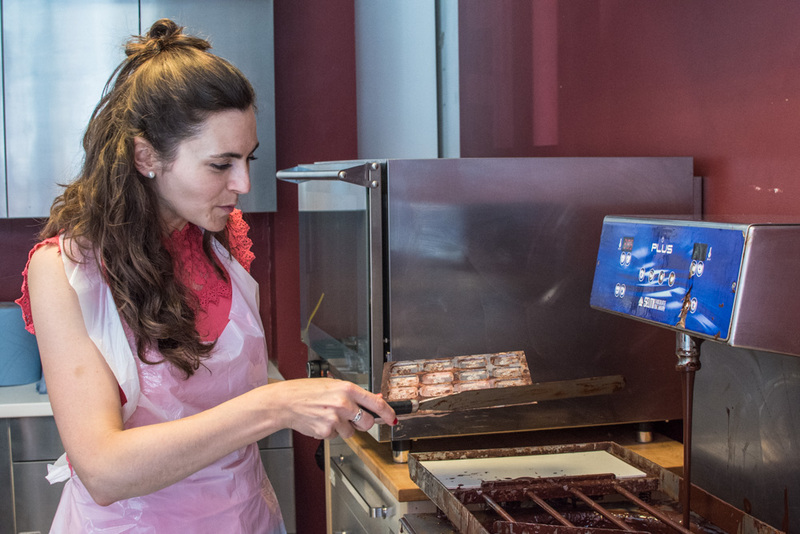 When I was searching for chocolate workshops, I discovered that Laurent Gerbaud, one of the best chocolatiers in Brussels hosts one every Saturday. I did not hesitate and booked the last two places for us. 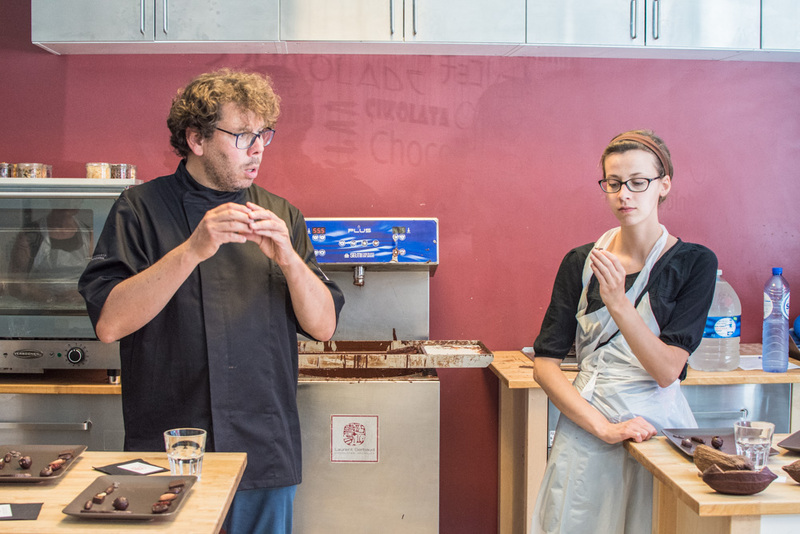 In this post, I will tell you more about this chocolate workshop with Laurent Gerbaud. 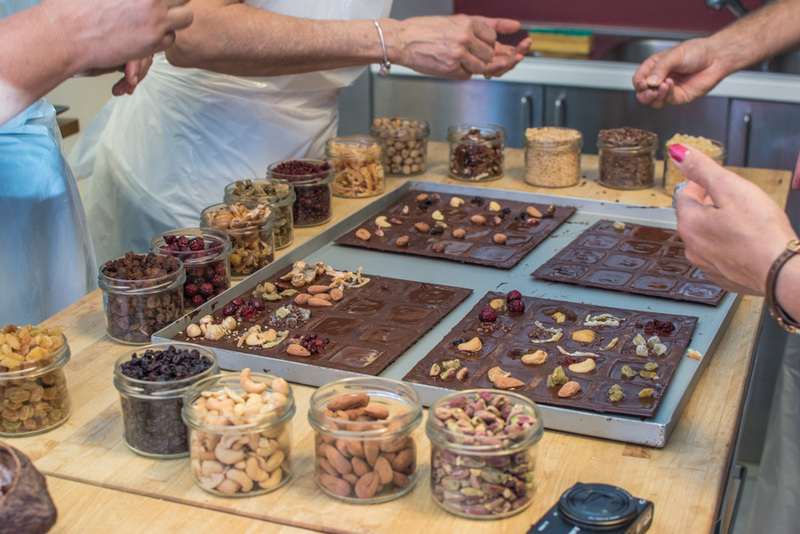 Our 90-minutes´ long workshop was lead directly by Mr. Laurent and had two parts. 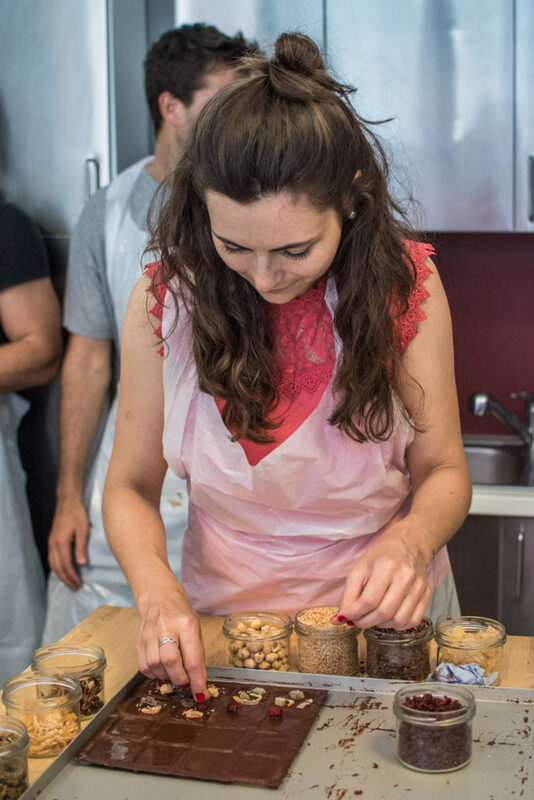 In the first part, every participant created its own mediants which are basically chocolate squares with nuts and dried fruits such as cashews, almonds, pecans, pistachios, raisins, ginger, candied citrus zest, roasted sesame seeds and much more. 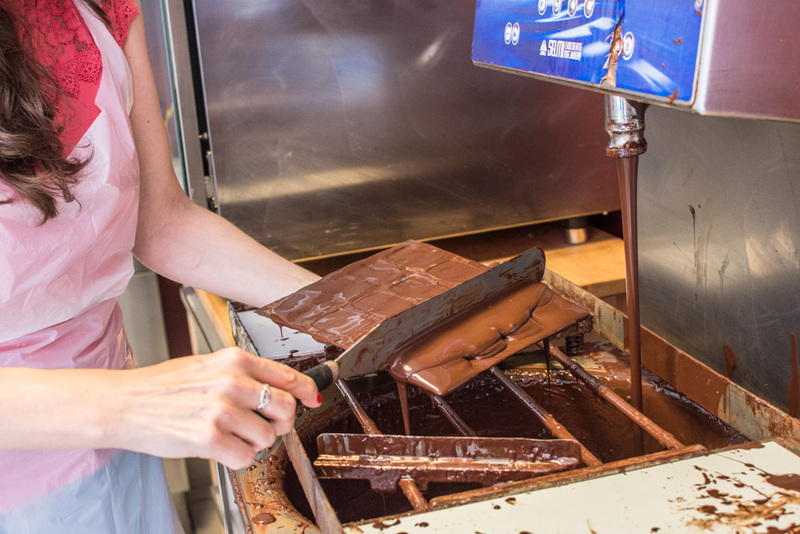 For that, we were instructed to use the special machine that melts the chocolate at a constant temperature and then keeps it running. 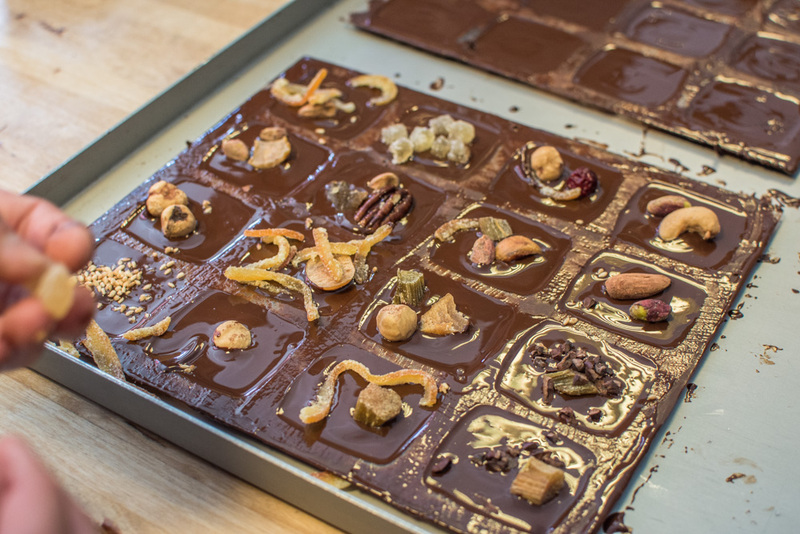 It was so much fun to create your own chocolates according to your taste! There were some kids and enjoyed this activity too. 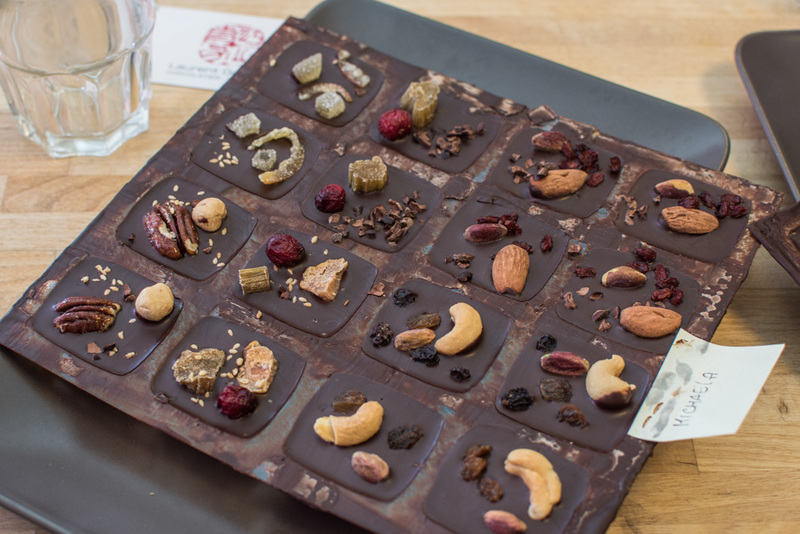 After finishing, everybody put on a sticker and placed their plate in the fridge in order to cool down before taking their own mediants home. 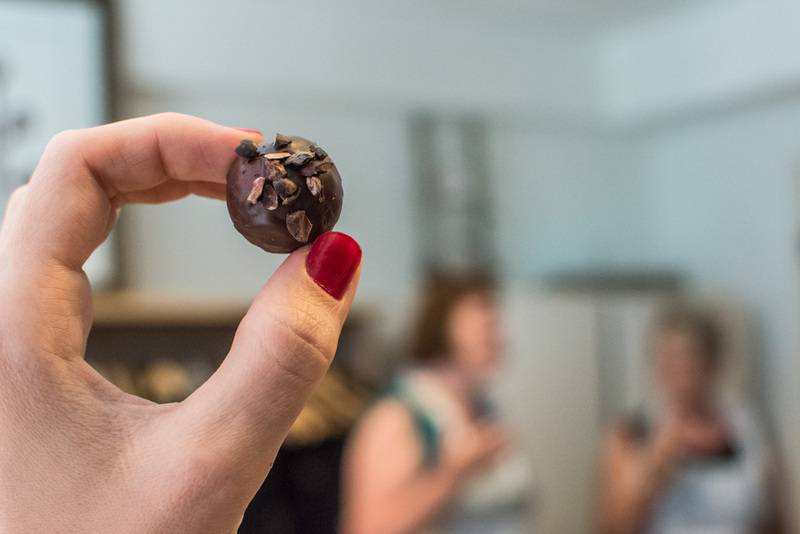 The second part was rather an informative session devoted to chocolate degustation. 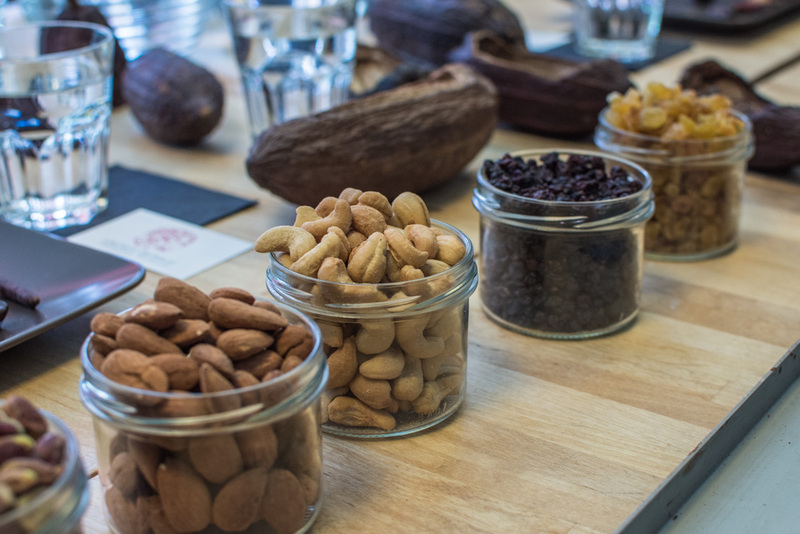 Laurent explained to us differences between different varieties of cocoa being used for their production. 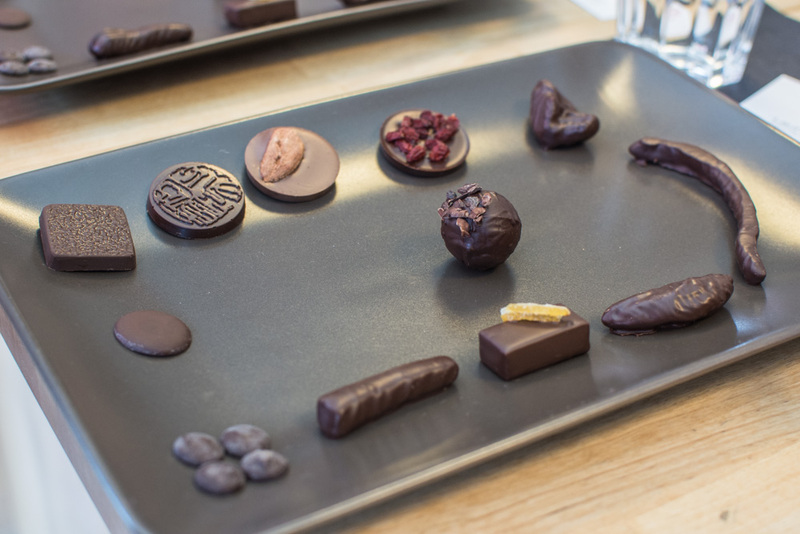 After that, everybody tasted 10 pieces of chocolates and pralines, examining together the different tastes of each piece and obviously keeping the best one for the very end! 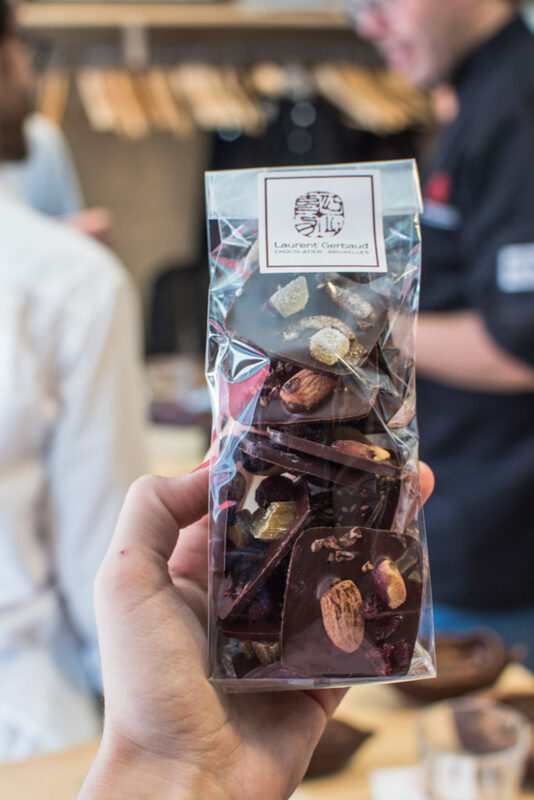 That was their new refined praline and was really, really delicious! He also spoke about the history of his business and experience from the Asian countries which I found very interesting. 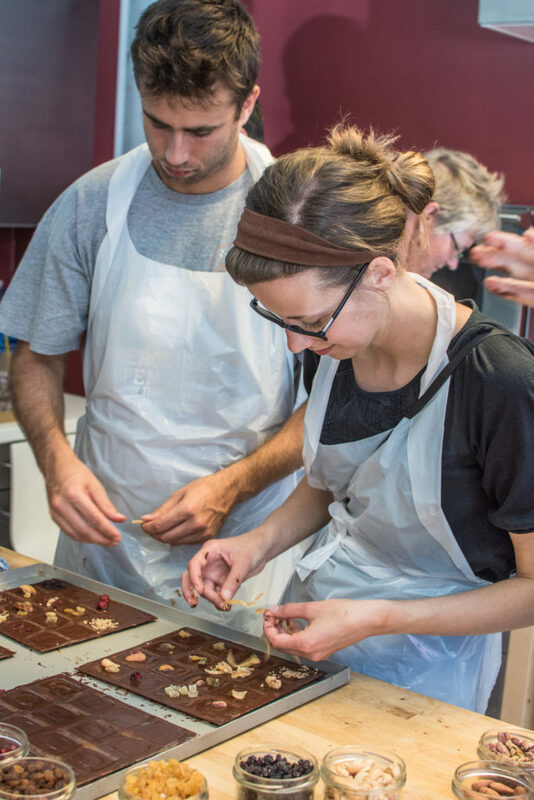 If you would like to participate in the Chocolate workshops with Laurent Gerbaud, you can find more details on their website. 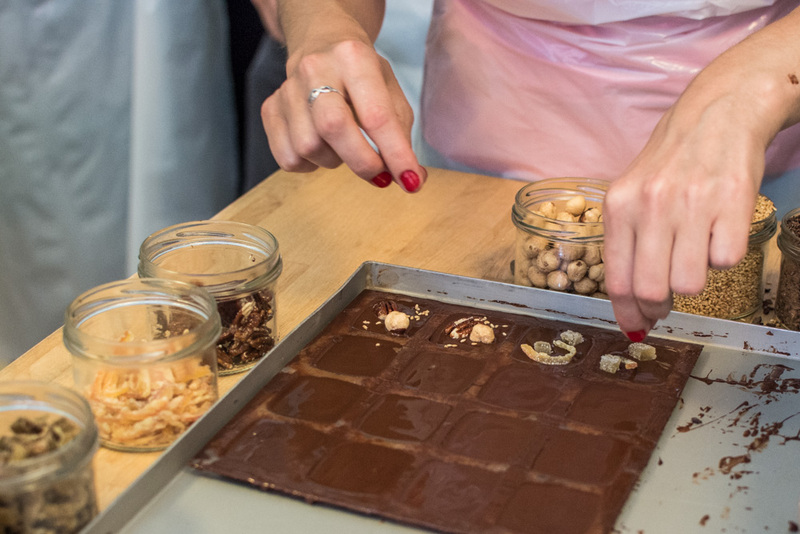 The workshops take place in their atelier in rue Ravenstein 2d every Saturday from 11:30 a.m. to 1 p.m.
Have you ever done any chocolate workshop elsewhere? 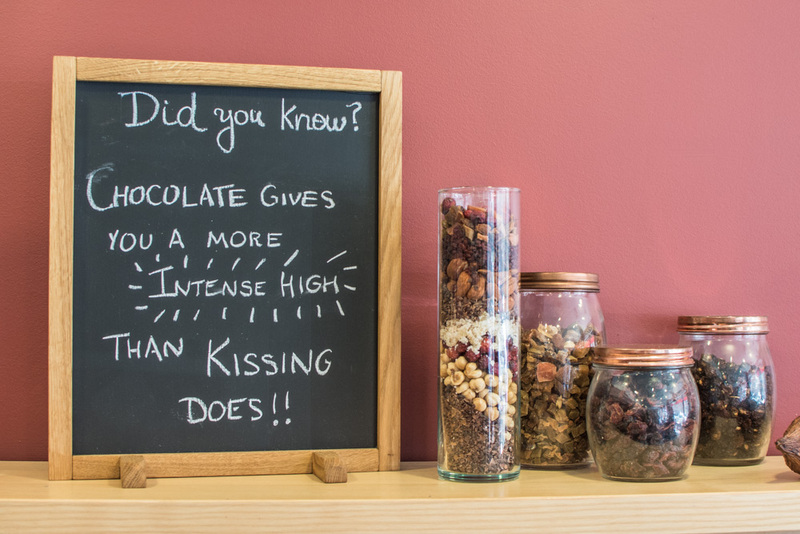 Share your experience in the below comments! 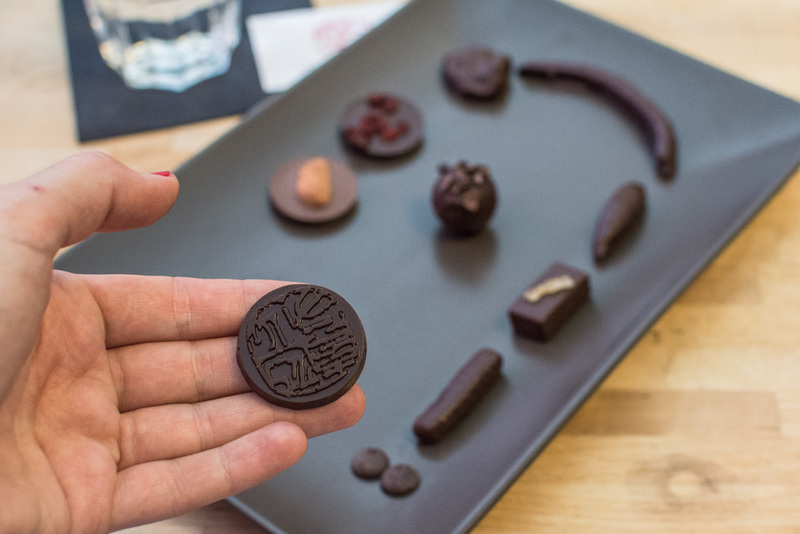 Disclaimer: I reached out to chocolatier Laurent Gerbaud on my own initiative considering that my honest review of this workshop might be a good fit for my audience. They agreed in exchange for a discount price. All opinions expressed in this review are my own. 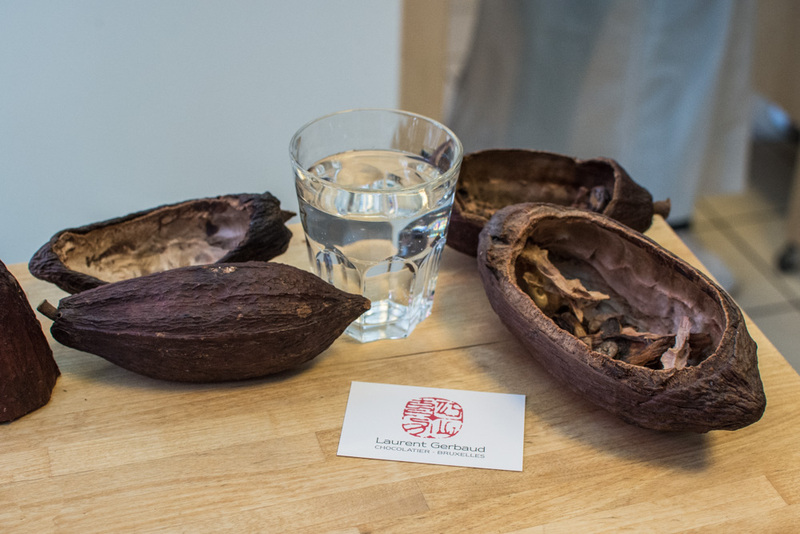 I would like to thank Laurent Gerbaud for hosting us, it was a great experience!